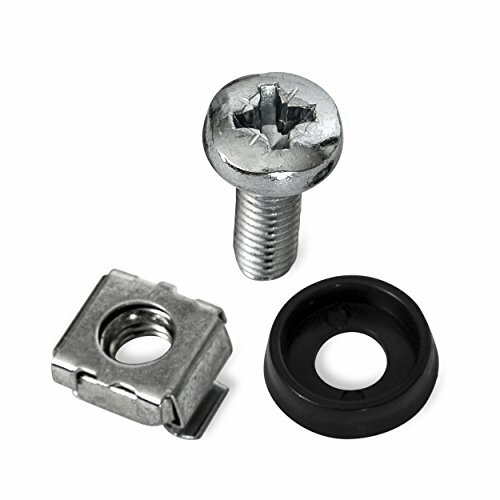 10 pack - Heavy duty screw kits for mounting your standard rack mountable equipment into a rack cabinet. Comes with 10 screws, 10 washers, and 10 square nuts. If you have any questions about this product by VanDelay, contact us by completing and submitting the form below. If you are looking for a specif part number, please include it with your message. Navepoint Fixed Rack Vented Server Shelf 1U 19" 4 post Rack Mount Adjustable from 14 - 23"